Clinical and laboratory research from India has proven that an Ayurvedic formula used for liver infections halts the often deadly hepatitis B virus. Indian scientists utilized a formula that has been referred to as HD-03/ES. This is an Ayurvedic herb liver formulation made up of the extracts of two herbs: Cyperus rotundus (also referred to as Java grass or Nut grass) and Cyperus scariosus (referred to as Cypriol or Nagarmotha). The researchers tested four different concentrations of this herbal combination against the hepatitis B surface antigens using liver cells (PLC/PRF/5) infected with hepatitis and actually carcinogenic. The cultures were tested for 24 hours each and then underwent enzyme assays to determine the results. In all four concentrations, which ranged from 125 micrograms per milliliter to 1000 micrograms – the herbal extract suppressed the cells’ ability to produce the hepatitis B surface antigens – which allow the virus to infect other cells. The research also found that that combination downgraded the ability of the HBV-infected cells’ DNA to replicate. This of course is necessary for the virus to stay alive. In conclusion, we have studied the in vitro anti-HBV effect of HD-03/ES in transfected human hepatocarcinoma cells. HD-03/ES suppressed HBsAg production with an IC50 of 380 μg/mL in PLC/PRF/5 cells for a period of 24 h. HD-03/ES also downregulated HBsAg gene expression in PLC/PRF/5 cells. Previous reports have clearly indicated the anti-HBV activity of HD-03/ES. The main thrust of the present study is that, besides other methods of interference, HD-03/ES is capable of suppressing HBsAg, and the action is targeted at the transcription level. This is not the first study that has shown this conclusion. In 2007, medical researchers from India’s Lifeline Rigid Hospitals treated 25 HBV patients with two capsules twice a day of the HD-03/ES formula. Liver tests, including HBV markers for the hepatitis B surface antigen and HBV DNA were conducted at the beginning and then after four months and six months of treatment. The results of this pilot study indicate that HD-03/ES might be a safe and effective treatment for chronic hepatitis B infection and a long-term multicentric comparator trial is warranted and under way. In 2009, researchers from India’s Maulana Azad Medical College conducted a clinical trial with 51 patients with chronic liver disease and Hepatitis B virus (HBV) infections. The patients were also given two capsules of the HD-03/ES formula twice a day for six months. The patients were examined each month with liver function testing. The researchers tested blood levels of the hepatitis B surface antigens and HBV DNA, as well as liver enzymes and others. The researchers also found significant improvement among the patients in liver function testing. They also found that the improvement was greater among those patients with the genotype A (about a third of the cases in this study). In these, the HD-03/ES formula resulted in a significant reduction in symptoms and viral load. Viral load was also reduced among the genotype D patients, but not to the degree of the genotype A patients. About two billion people worldwide are estimated to have been infected by hepatitis B, and about 400 million have chronic infections. These astonishing statistics mean that approximately one of every three people have been infected, and the number of chronic infections worldwide is more than the entire U.S. population. In the U.S. about 12 million people have been infected while about 5,000 people Americans die each year of hepatitis B. Worldwide, approximately a million people die every year of hepatitis B complications. Treating chronic HBV has proven extremely difficult, especially in second- and third-world countries. The virus replicates through RNA reverse transcription, making it a retrovirus. While an acute case may be resolved by the immune system, a chronic case can lead to severe liver inflammation and even cirrhosis and liver cancer. HBV is significantly more transmittable than HIV. Interferon and antiviral drugs are typically prescribed in conventional medicine, and their success often depends upon the genotype and the health of the patient. Interferon has a very low treatment rate for genotype D, for example. It should be noted that both of these plants – especially the nut grass – are often considered common weeds by some. 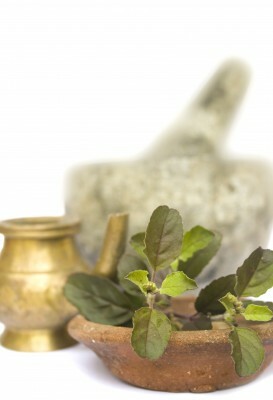 Not in Ayurveda, where an ancient history of clinical application has found that medicinal plants of many types have healing capacity in one respect or another. Varma SR, Sundaram R, Gopumadhavan S, Vidyashankar S, Patki PS. HD-03/ES: A Herbal Medicine Inhibits Hepatitis B Surface Antigen Secretion in Transfected Human Hepatocarcinoma PLC/PRF/5 Cells. Hepat Res Treat. 2013;2013:125398. Rajkumar JS, Sekar MG, Mitra SK. Safety and efficacy of oral HD-03/ES given for six months in patients with chronic hepatitis B virus infection. World J Gastroenterol. 2007 Aug 14;13(30):4103-7. Kar P, Asim M, Sarma MP, Patki PS. HD-03/ES: a promising herbal drug for HBV antiviral therapy. Antiviral Res. 2009 Dec;84(3):249-53. Tagged cyperus rotundus, hepatitis B. Bookmark the permalink.